File image of an Ontario Police Department patrol car. The Ada County coroner says Heriberto Ortega died Monday at Saint Alphonsus Regional Medical Center in Boise. BOISE — A 20-year-old Nampa man who was involved in a lengthy standoff with police in Ontario last week has died from a self-inflicted gunshot wound to the head. The Ada County coroner says Heriberto Ortega died Monday at Saint Alphonsus Regional Medical Center in Boise. He was transported from Ontario to the Boise hospital last Friday. According to Malheur County authorities, Ortega was a passenger in a vehicle that was stopped by police in Ontario just after 9:30 p.m. Thursday, Nov. 29. 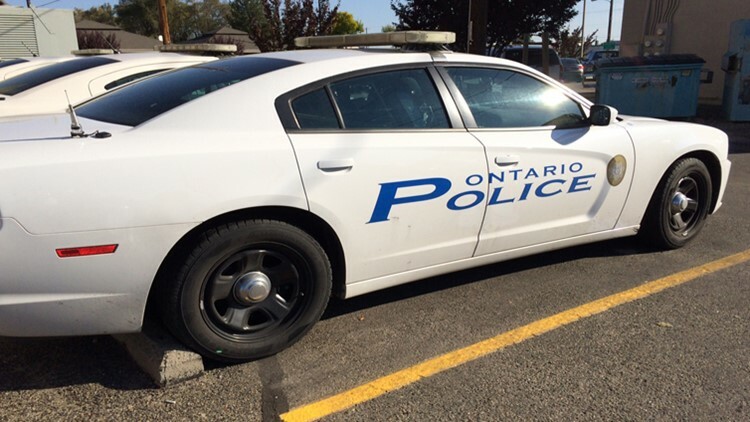 An Ontario police officer approached the vehicle and Ortega opened the door and was armed with a handgun. Shots were fired and Ortega fled the scene. He was pursued by officers to a home at 540 SE 6th Avenue. Police set up a perimeter and tried negotiating with Ortega for about three hours. Around 2:14 a.m., a shot was heard from inside the home. Police forced entry and found Ortega with a self-inflicted gunshot wound to the head. The Ada County coroner has declared his death a suicide. Police are still looking for the driver of the vehicle, 32-year-old Irene Pena of Nyssa, Oregon, for questioning. Two officers that fired their weapons during the incident are under investigation.